Tomorrow, Saturday the 22nd, I will be doing a Meet & Greet in Rochester, MN. 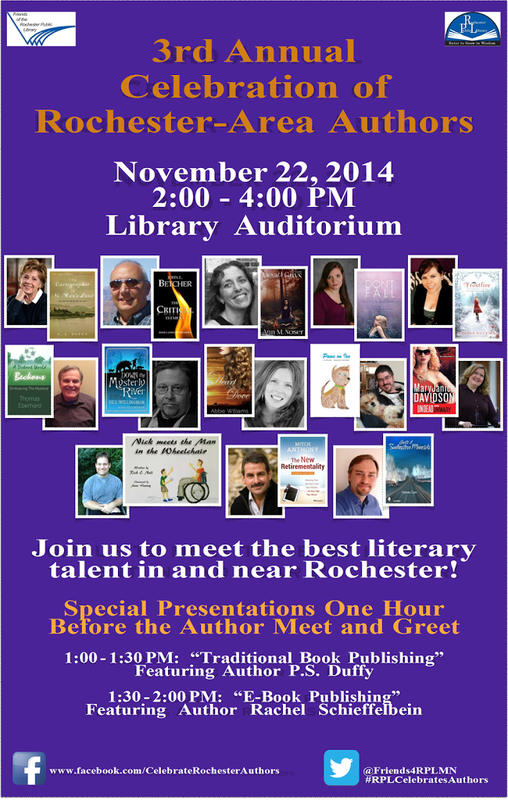 I’ll be at the Rochester Public Library in the library auditorium from 2:00-4:00 pm, with lots of other authors from the Rochester area. 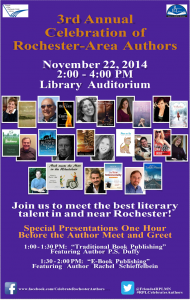 There will be books for sale, and I’ll also giving out some really cool Kanin Chronicles swag. So if you’re in the Rochester area tomorrow, you should definitely come out. I think it’ll be a fun time!